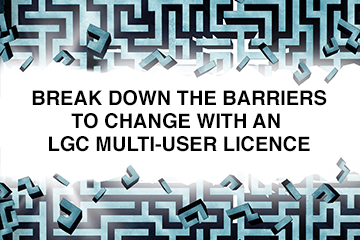 In an interview with LGC, Matt Prosser urged more of his colleagues around the country to be “brave” and drive the debate about reorganisation in their areas. He also spoke about the challenges of running three district councils, and the need for councillors and officers at all levels to embrace technological innovations if the sector is do more than stand still. In February housing and communities secretary Sajid Javid approved a plan to turn Dorset’s nine councils into two new unitary authorities, something Mr Prosser said is “vital” to creating a more sustainable future for the sector in his area. Since then Mr Javid has said he is “minded to” approve a proposal for a county unitary in Buckinghamshire, while he is also considering plans to reorganise Northamptonshire into at least two unitary councils following the county council’s decision two months ago to issue a section 114 notice. Mr Prosser said more discussions about restructuring are needed in other parts of the country. However, he recognised the “political dynamic” of a place as well as “political egos” can prevent this from happening and admitted it can also be difficult for senior officers to put their own roles at risk. “In the absence of central guidance on structure and reorganisation – and the government has been clear it doesn’t want to do that – then it’s down to local leadership and local politics and local chief executives being brave enough to have that conversation,” said Mr Prosser. As chief executive of the Dorset Councils Partnership, which serves North Dorset and West Dorset DCs, and Weymouth & Portland BC, and chair of the Dorset chief executive group, Mr Prosser took a leading role in developing the reorganisation proposals and finalising the bid. Speaking to LGC before the latest challenge from Christchurch BC emerged, Mr Prosser praised the chief executives of the other councils for essentially putting their jobs at risk and doing so “because they believe it’s the right thing to do” in order for services to be delivered sustainably in the future. Getting the bid over the line was far from straight-forward, especially as Christchurch MP Christopher Chope (Con) sought to derail reorganisation. Mr Prosser said that did make it “difficult” but added it also ensured the evidence base was sound. He said the fact 75% of the 330 councillors in Dorset eventually backed the proposals was “testament” to the regular briefings senior councillors and officers provided. However, a lack of widespread involvement from the general public, despite repeated attempts, indicated “there is possibly a whole national debate that is missing” on this agenda, said Mr Prosser. The sector is “now in a quandary”, said Mr Prosser, as the government’s line that reducing central funding will boost efficiency is seen as “a good thing” by much of the public. But people “don’t realise you can’t have the same level of services without investing in it locally”, for instance through raising council tax. Before moving to Dorset Mr Prosser was shared strategic director for South Oxfordshire and Vale of White Horse DCs. But as chief executive of three sovereign district councils with a single workforce, Mr Prosser said “the volume of activity is a challenge”. However, he added he has worked hard with officers and councillors to “find solutions to that dynamic”. As the spokesman for digital leadership for the Society of Local Authority Chief Executives & Senior Managers, Mr Prosser said he has seen “great practice” in a number of councils. However, he said the sector is “starting to lag behind” commercial partners and warned of an “uphill journey” if councils fail to invest in developing the skills and knowledge, among councillors, officers and residents, needed to make the most of new technology.